4 Bedroom Semi Detached House For Sale in Heathfield for Guide Price £375,000. A fantastically renovated 4 bedroom semi detached villa style property within walking distance to amenities, including local nursery/schools and a short drive to Stonegate station with rail links to London. Decorated and finished to a high standard throughout this property would make a fantastic family home. The entrance hallway features as a spacious dining area with attractive stripped floorboards and useful storage cupboard. To the front is a bright & spacious living room with decorative fireplace and a large bay window. The kitchen benefits from French doors to the patio & garden, ample cabinet space, integrated appliances, double sink and oak worktops and breakfast bar. The first floor offers three good sized bedrooms and a family bathroom featuring an attractive roll top bath, heated towel rail and hand basin & W.C. A further staircase leads to a master suite on the top floor with Velux windows, gorgeous exposed brick chimney breast and an en-suite shower room. 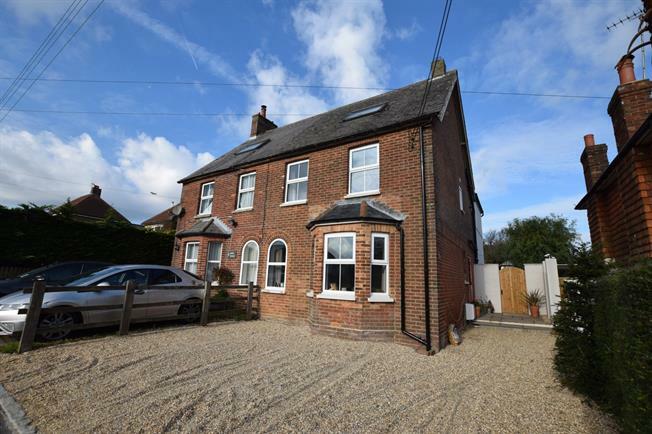 Outside the property has been improved to include a gravel driveway with space for two vehicles and attractive paved area following through to the rear garden. A generous area laid to lawn also hosts two handy storage sheds.